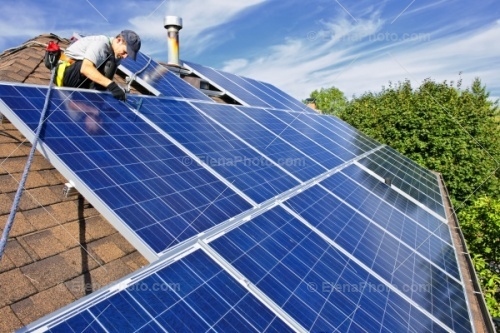 What are the Best Solar Panels? 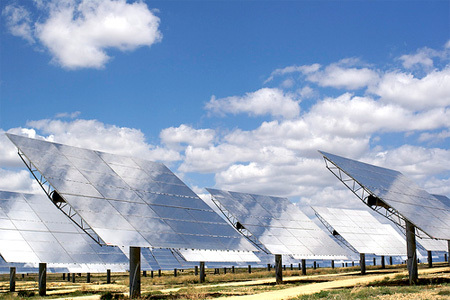 Solar power is a dynamic field. Every month brings news of an important breakthrough. Each manufacturer has a story about what makes their panels superior. What to pick? With so much new technology hitting the market, maybe today’s spanky new panels will be museum pieces in six months… ….or not. Panels have changed less than you think. Actually, the name of the game is steady improvement rather than revolutionary change. Two technologies dominate the market, crystalline silicon and thin film, and they’ve been playing leapfrog for years. Each one claims new successes as new materials and production processes get tried out. The present consensus is that thin film cells tend to be less efficient and shorter-lived, but low production costs mean that they’re not going away any time soon. This last point is important. When pros are talking panels, one figure dominates the discussion: cost per kilowatt. Suppose company A’s latest panel is 50% more efficient than company B’s, but costs twice as much. Which do you pick? It’s obvious when you think about it! That’s right — company B gives better value. You can spend a lot of time reading up on the advantages of exotic semiconductors, but in the end you’ll go with the supplier that gives you the best bang per buck. There’s one last consideration. Looks. Remember the panels you saw on NASA moonlanders and space probes when you were a kid? Modern panels work a lot better, but they still look pretty much the same. Maybe you don’t fancy bolting bits of spacecraft to your roof? The alternative is to integrate the panels with the building. More and more office blocks are going up with cells built into their glass skins. That’s not really an option for most homeowners, but you might consider putting up some solar shingles. They slot in place alongside your standard shingles, and you harvest the power the same way as with conventional panels. With solar installations taking years to pay for themselves, picking the right panel is a big decision. Don’t rush it! More: The top solar myths busted, What are the most efficient solar panels?